Southwood Building Contractors will visit your property to discuss your requirements and calculate a price guide for your consideration. If you already have a set of plans with building regulations approval, a detailed fixed price quotation will be calculated then a complete schedule of work provided listing all materials, etc. We will always make sure that you are talked through every step of the way if you so desire to make the process much more easy on yourself. We have an association with architects and structural engineers who will prepare a set of CAD drawings for your approval. You will be advised if planning permission is required and plans will be submitted to the council for their approval. Detailed working drawings are then prepared and submitted for building regulations approval. We always make sure that the customer is taken into account and that they are shown the drawings at different stages to ensure that they are happy at every stage. 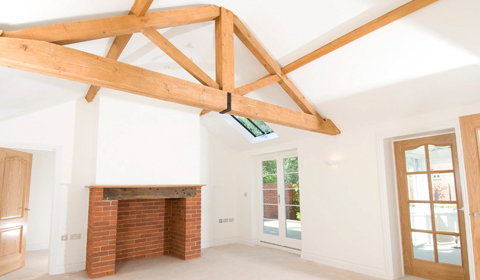 Southwood employ a regular team of up to 40 suitably qualified tradesmen to complete all works, many of these have worked for Southwood for the majority of our time in business. The company also has a network of specialist sub-contractors who can be drafted in to provide more specific services and this allows the us to deal with more complex projects. We also believe in investing in our future and liaise with Poole Technical College in an apprentice training programme. To give you peace of mind we make sure that all of our workforce are fully qualified for every job that they undertake. We pride ourselves in the customer satisfaction that we bring with every job. Helping you through the whole design process, simply interpreting your initial thoughts and designs and then transforming them into reality. Attention to detail and scrupulous principle supervision. Clear and frequent client communication is vital to completing a project on time and within budget. Quality people – we work with a handpicked team of craftsmen whose standard compliments our own. Quality materials – our selection of materials is always based on long lasting value. A code of practice which combines traditional craftsmanship along with modern innovations in construction. Distinctive and unparalleled work, fully insured and a fixed start date. Your property will be kept secure and weather tight during the works. Trained operatives who work to the latest Health and Safety procedures. We welcome all enquiries and look forward to helping with your project. Southwood has a highly motivated team with total involvement at all levels; each of us carries a share of responsibility for success and contributes both opinions and efforts to achieve a common goal of excellence.